What energy-saving features does my electric radiator need? Many energy-saving features now come as standard in fixed electric radiators, with 24/7 digital programming, adaptive start and open window detection being the most common. Weekly programming is an essential energy saving feature as it allows you to set your radiator to specific temperatures on an hour-by-hour basis for every day of the week. Once programmed, you can set your radiator to run automatically, knowing that it will never overheat your space and waste energy. It’s not just about slimming down running costs though: digital programming also ensures your own comfort by making spaces the right temperature the moment you come to use them. Adaptive start works alongside your programming by predicting when to start heating to make sure your room is at the right temperature at the right time. Rather than using full power to bring your room up to a comfortable heat level, adaptive start engages your heater ahead of time, using minimal energy to slowly build up your room temperature, saving energy in the process. Open window detection cuts power to the heater whenever a sharp drop in temperature is detected because of an open door or window. This prevents the heater from wasting energy as it tries to warm a space that’s quickly losing heat. Any fixed electric radiator manufactured in 2018 over 250w must have at least 24/7 digital programming and offer either adaptive start or open window detection as per Lot 20 regulations. 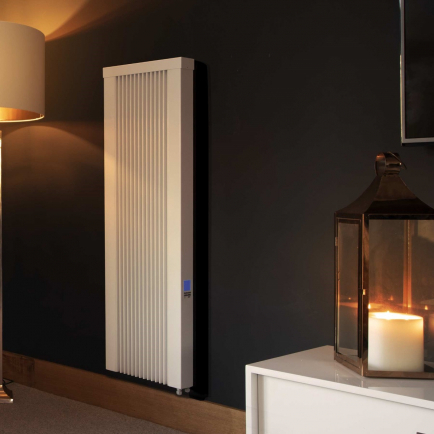 Which of your bestselling electric radiators is best for homes on a budget? 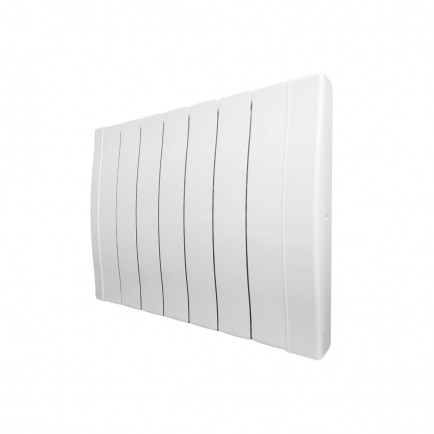 For home heating on a budget, we recommend our Haverland RC Wave electric radiator. 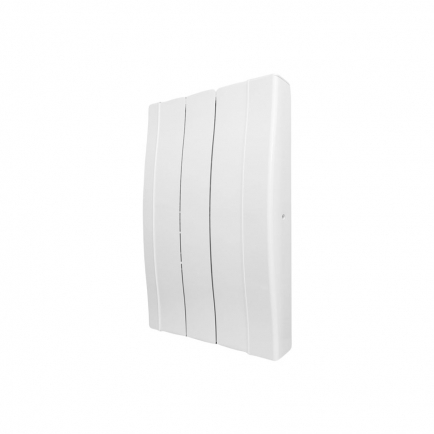 Our RC Wave electric radiators come with full weekly programming and a precision thermostat accurate to 0.2 °C, giving you total control over your energy usage and ensuring running costs are kept to a minimum. Prices start at £199.99, and as we’re the sole UK retailer of the RC Wave, you won’t find a better deal anywhere else. Should I choose an oil-filled electric radiator or an oil-free electric radiator? Oil-filled and oil-free electric radiators usually come with identical controllability and energy-saving features so why should you choose one over the other? Though both are excellent choices, you may still prefer one over the other because of the different heating methods they utilise. Oil-filled electric radiators are slower to heat up because they need to warm the entire mass of the thermal fluid inside the housing. However, this oil is excellent at retaining heat, and you’ll find that even once your radiator has stopped drawing power from the wall, it remains warm for much longer, meaning it needs less energy to top up temperatures. The thermal fluid makes these radiators heavier and their longer heat retention means they’re less responsive if you suddenly find you’re too warm, however, they more than make up for this by being very energy efficient. Dry thermal or oil-free electric radiators are lightweight and easy to move, making them versatile enough for both fixed and portable heating. By not needing to heat up a large mass of thermal oil, dry thermal electric radiators are much more responsive, so if you suddenly find the room’s too warm, you can quickly and easily adjust temperatures to suit. The only downside to dry thermal radiators is that they’re a little less efficient as they don’t retain heat as long as oil-filled models. This shouldn’t put you off though – what they lack in heat retention merely means you’re given more freedom to react quickly to outdoor changes in temperature. Do I need a WiFi controlled electric radiator? WiFi controls are becoming ever more popular because they offer convenient remote control over your home heating system. With WiFi controlled electric radiators, such as our Haverland SmartWave, you can adjust your programming from anywhere in the world using a smart device. This means you can tweak your settings on the go, whenever and wherever you like. Going to be late home? Delay your programming by a couple of hours to save energy. Forgot to switch your heaters to anti-frost before going on holiday? Just adjust your settings when you arrive at your destination. If you don’t have a compatible device or internet access at home, you won’t be able to use the WiFi feature that some radiators offer. But don’t worry, modern electric radiators come with full 24/7 programming, which will still give you comprehensive control over your energy usage. Our range of bestselling electric radiators boast everything from high-tech WiFi controlled heaters, to traditional models that wouldn’t look out of place next to central heating. 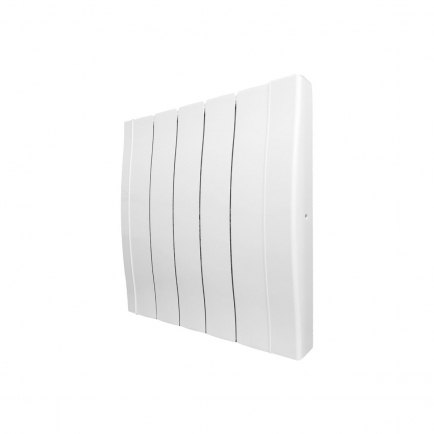 Choose from wall mounted, vertical and portable electric radiators, as well as heaters with thermal fluid or dry elements. Whatever solution you’re looking for, you’ll find products that emphasise convenience and controllability, offering full 24/7 programming and precision thermostats for easy heat management. 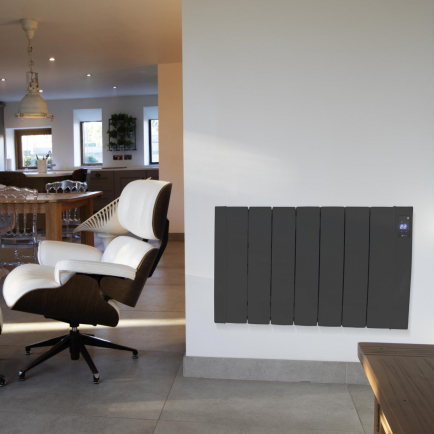 Elegant, slimline and energy-efficient, our bestselling electric radiators make outstanding additions to any interior space, whether it’s for conservatory heating or for effective warmth in hallways and landings.